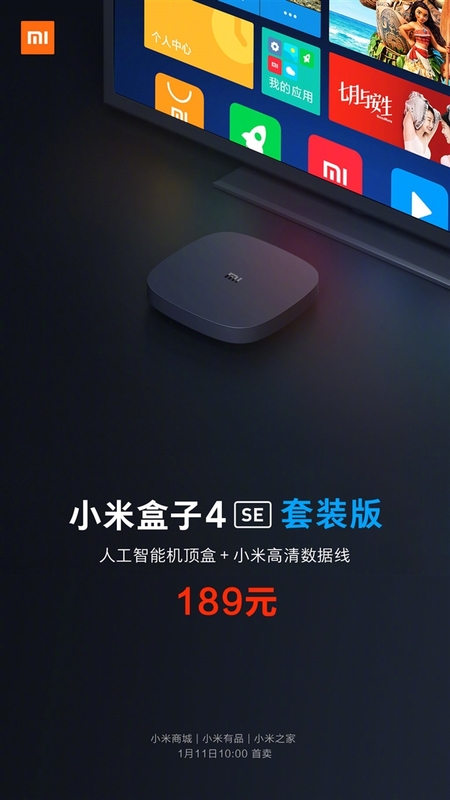 Xiaomi officially launched the xiaomi mi box 4 se suite (smartphone box + 1.5M HD data cable Xiaomi) for 189 yuan ($ 28). This ultra-smart box is equipped with PatchWall's AI audio system, which supports voice control including video playback, channel switching, weather checking, and more. In addition, it supports the display of the smartphone screen and can display photos and videos on the TV with a single click on the smartphone. 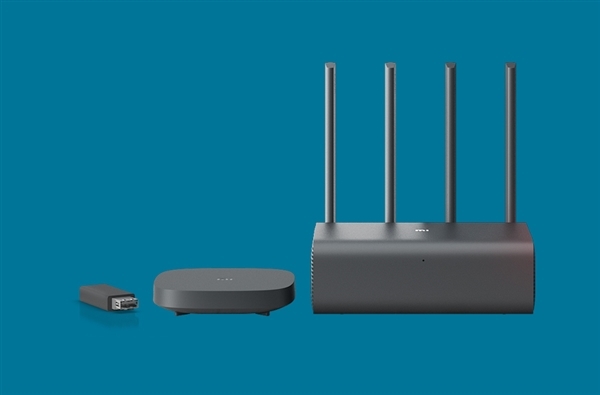 As for the core configuration, the xiaomi mi box 4 se comes with a Cortex-A7 quad-core processor and a Mali-400 GPU with 1GB of memory, 4GB of eMMC flash memory and an output resolution of up to 1080P. 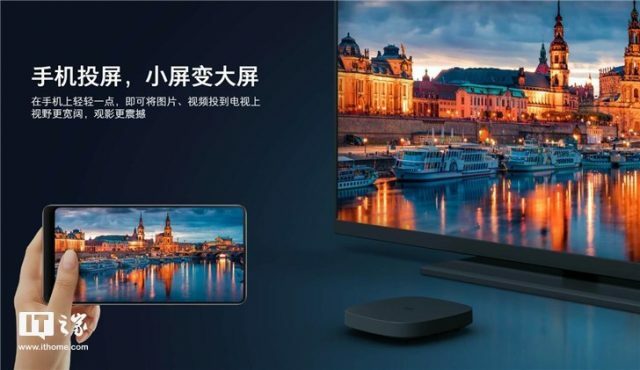 Apart from this, xiaomi mi box 4 se of connectivity (Wi-Fi 802.11 b / g / n (2.4GHz and USB, wireless transfer and downloading high-quality video and large data files), can even bulk movies after connecting USB drive, USB flash drive or USB flash drive. AV connectivity, USB 2.0 and HDMI connectivity are available for various connectivity options. As you can guess, xiaomi mi box 4 se allows users to install games and audio and video applications. As a reminder, the xiaomi tv box is very popular around the world. In this saturated market, Xiaomi sold millions of xiaomi tv boxes. At the moment, it has released two models of its fourth series. 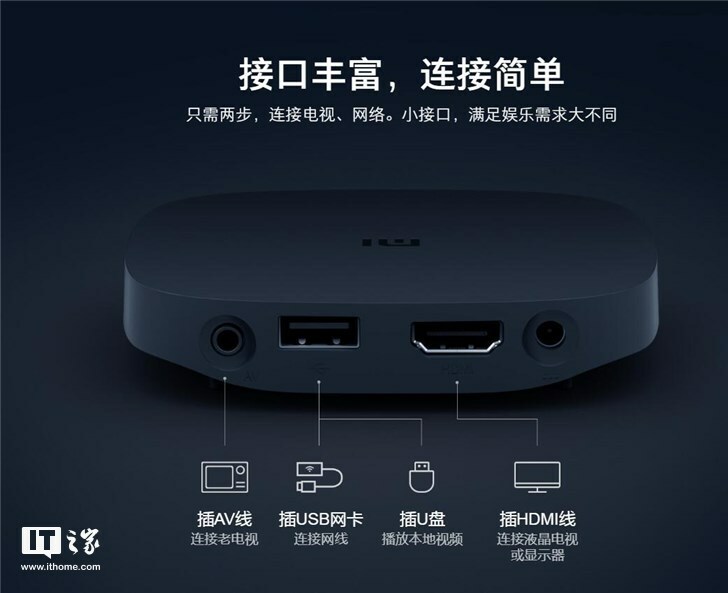 So xiaomi mi box 4 se can be a good option before launching the fifth generation box. Since the current models were launched in January 2018, there are many reasons to think that new series will be released shortly.